This shorter 2-day to 5-day plan focuses on anti-inflammatory foods and is free of any ingredient that might cause swelling or water retention. Non-food ways to reduce bloating and gas (including yoga poses!) are also included. You will literally be eating the very meals I eat before a bikini photoshoot or when I want to look my leanest. Jumpstart your slender summer and remove any lingering inflammation and puffiness with the Bikini Blueprint. I had a huge balloon belly. I knew it wasn't fat because it wasn't always around. One day it would be flat and toned and the next it would be popped out like a big pregnant belly. My legs would get puffy too, sometimes I couldn't fit in the pants I'd worn the day before. My diet was super clean (plant-based) and low in salt, so why was this happening to me? And why, with all the fiber and good foods I was eating, was I feeling clogged up? I tried all kinds of elimination diets (gluten-free, soy-free, FODMAP, etc), probiotics, kombucha, acupuncture, and meditation… but nothing helped me. I dug deeper, looking more closely at the foods I was eating. Finally, there, at the molecular level, the clear pattern and “aha” connection occurred. Uncovering this connection + learning exactly how digestion works in the body finally allowed me to “pop my balloon belly” and know how to prevent it from happening again. With this knowledge and science also came the unintended upside of finding a super healthy way to flush out your body, leaving you looking your leanest, trimmest in 24-72 hours. You will be AMAZED at how much leaner and slimmer you look when you aren't bloated, retaining water, or otherwise inflamed. 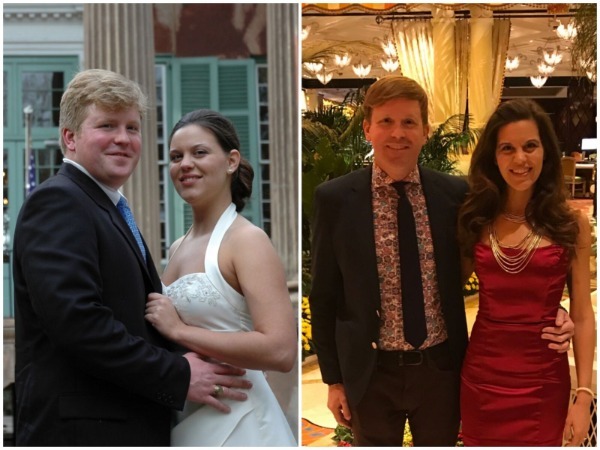 I see a massive difference in myself (abs vs. no abs) and friends who've followed my suggestions remarked they lost inches and/or LOOK at least 10 pounds lighter. The Bikini Blueprint provides you with very clear directions, telling you EXACTLY what to eat (and what to avoid) for 24-hours or 3-days, depending on how much time you can commit. Everything is completely laid out for you: Delicious breakfasts, lunches, and dinners every day plus safe snacks, desserts and glow-enhancing drinks. No confusion. Zero ambiguity. You'll be provided with a precise list of foods to eat and foods to avoid (along with the science why). Plus all of the pure meals are simple and super clean. You can feel them nourishing you instantly. By using this special Bikini Blueprint you will literally be eating the very meals I eat when I want to look my leanest. This is the EXACT food plan I eat before a beach trip or bikini photoshoot. And because I know you're going to love how this feels in your body, I've included an additional 21 meal options (beyond the meals from the set meal plan) so you can keep it going and fully heal your body. How great would it be to wake up with confidence? #1 Fruits. Fruits contain fructose, natural fruit sugar that is difficult to digest. Foods that are not completely digested create gas (and bloating) during the breakdown process. Enjoy foods containing fructose on an empty stomach (preferably in the morning) for best results. #2 Onions. Onions contain fructose (see above) and they're also naturally very fermentable. Cook your onions well and limit them if you want to avoid inflammation and bloating. #3 Apples. Apples are high in fructose and their skin is very difficult to digest. Undigested food creates gas and bloating during the breakdown process. For best results, peel your apple and eat on an empty stomach (or find another healthy food to eat instead). #4 Pears. Pears naturally contain sorbitol (a popular artificial sweetener). Sorbitol digests much slower than other sugars so there's an increased fermentation risk. FYI, all sugar alcohols (sorbitol, xylitol, etc.) have an osmotic effect, which is why sugar-free foods often come with warnings that if you eat too many you might poop your pants involuntarily. #5 Mushrooms. Mushrooms contain the oligosaccharide sugar raffinose, which can't be fully digested in the small intestine, making fermentation (gas) inevitable. (Legumes also contain raffinose). All Raw Vegetables. All vegetables are high in fiber, which is part of why they are so good for you. Fiber, however, cannot be digested or broken down very easily, so gas and bloating is inevitable. Cooking your vegetables and chewing them well can help soothe the process, but high fiber vegetables such as crucifers (broccoli, cabbage, kale, cauliflower) should be reduced or limited when you want to be as flat as possible. Cooked Grains. Whole grains are also high in fiber, so eating too much, or pairing them with other high fiber foods can cause problems. Limit cooked grains to 1-cup per day for best results or use cooked oatmeal which is gentler. Artificial sugars, alcohol (particularly beer, wine, and mixers), coffee, salt, condiments, hot sauces, protein supplements, and processed foods (especially processed wheat) also belong on the elimination/avoid list if you want to flush out your body and remove all-over puffiness, inflammation, and bloating. For a nutrition plan to work it has to be simple. While this Bikini Blueprint is more restrictive, it is also pure “clean eating” and quick. You will see results in 24 hours. The Bikini Blueprint is isn't a miracle diet. It is a protocol that will make you look your absolute personal best. You will be AMAZED at how much leaner and slimmer you look when you aren't bloated, retaining water, or otherwise inflamed. I see a massive difference in myself (abs vs. no abs) within 24-36 hours. Friends who've followed my suggestions remarked they lost inches and/or LOOK at least 10 pounds lighter in 48-72 hours. It's incredible what a few days of the right foods can do for you!!! 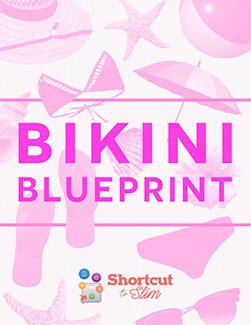 Commit to the Bikini Blueprint (a.k.a. eat clean), move your body a little through dance or yoga, SMILE BRIGHT at everyone you see, and you will feel your healthiest, happiest, and most confident ever. If you're ready to jumpstart your slender summer and remove any lingering inflammation and puffiness, it's time to take action. 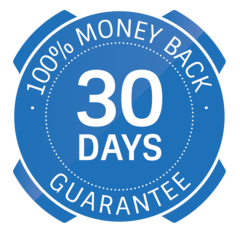 All purchases are fully refundable and have a 30-day money back guarantee. EVERY BODY IS BEAUTIFUL — ESPECIALLY YOURS! This Bikini Blueprint uses science to bring out your absolute best physique. Reveal that radiant, glowing goddess!! #1 Each recipe is easily digestible and nourishing. #2 Anti-inflammatory foods are the primary focus. #3 Foods that soothe gas and bloating are carefully incorporated. #4 Natural digestive aids and diuretics (such as lemon juice and papaya) are included to help flush out your body. Before creating this blueprint I authored 5 best-selling vegan cookbooks, 1 plant-based (vegan) lifestyle guide, and founded the first online vegan meal plan service. I've spoken at dozens of conferences around the world, been featured on Dr. Oz, Oprah, Food Network, NYTimes and routinely consult with private clients and celebrities who pay $350/hour to get the same advice I'm giving you in the Blueprint and workshops. I spent YEARS struggling to find out why some people were successful and others failed and am so glad all my work can provide you with a shortcut to faster results. The wrong combination of healthy foods caused all my problems (puffiness, belly balloon, bloating, gas, constipation, etc.) but being strategic with how and when I ate them made me leaner and luminous. 24-hours of the right foods can transform the way you look, bringing out your absolute best physique. Zero ambiguity. Everything is completely laid out for you with lots of examples and choices. It's short, sweet, and pure. The Bikini Blueprint is specifically designed to flush out your body, removing any puffiness, bloating, or inflammation. You're going to be trim, luminous, and lovely and I can't wait to see your pictures so please send me email updates or tag me on social media. What's included in the 42-page Bikini Blueprint? Recipes for the beach and pool too! A straightforward explanation of how digestion works so you can start eating more strategically immediately. My ultimate “safe foods” list. A total body flush + digestive aide. When I'm not bloated, puffy, or constipated, my abs have definition, my legs look leaner, and I my clothes fit more comfortably. If you're like me and you want to LOOK your best not just FEEL your best, this protocol and bikini “bootcamp” will blow your mind! See for yourself the powerful effect food has on your appearance. Make your healthy meals work FOR you instead of against you. You deserve it! You will be AMAZED at how much leaner and slimmer you look when you aren't bloated, retaining water, or otherwise puffy-inflamed. Getting a good handle on how digestion works and why foods cause bloat sometimes (and how to prevent that) is how I popped my belly balloon (and kept it from inflating again). That relief is so, so sweet. Final note: If my body ends up out of whack (i.e. after traveling) or I fall off the wagon and need to get my focus back, this Bikini Blueprint is how I recalibrate. This is what I do. I use the Bikini Blueprint to look my best. I use the protocol in the Blueprint to get back on track. Pure, simple, clean.